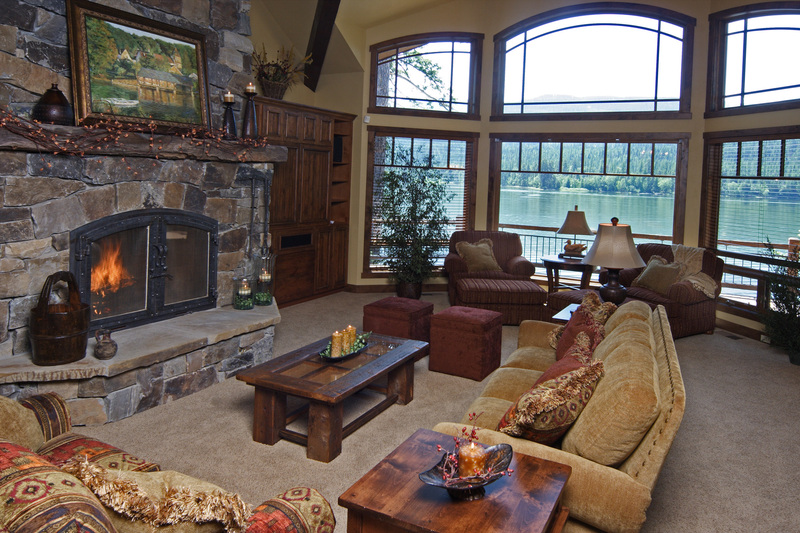 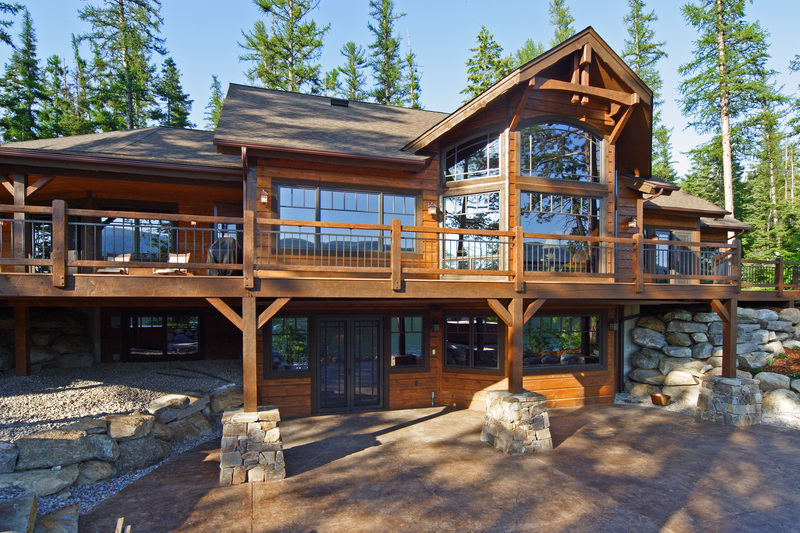 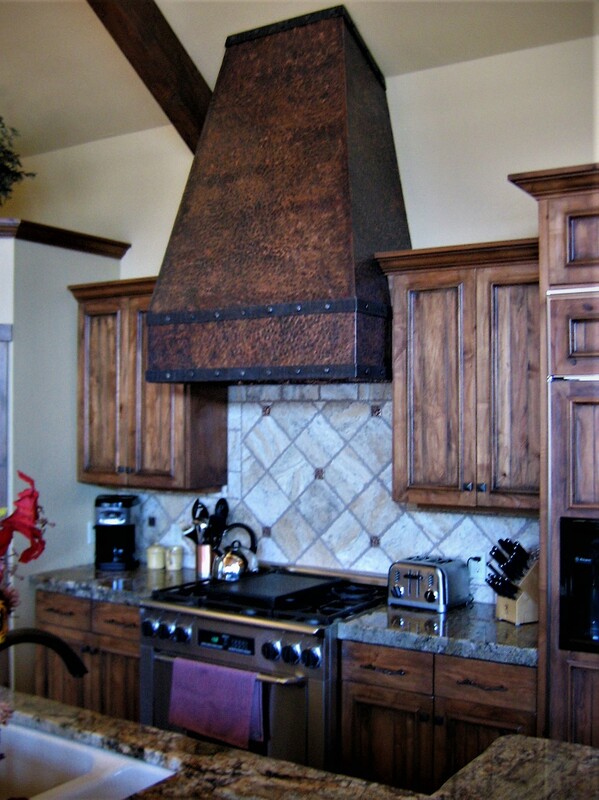 This log sided Montana home was designed for family living and summer waterfront entertainment. 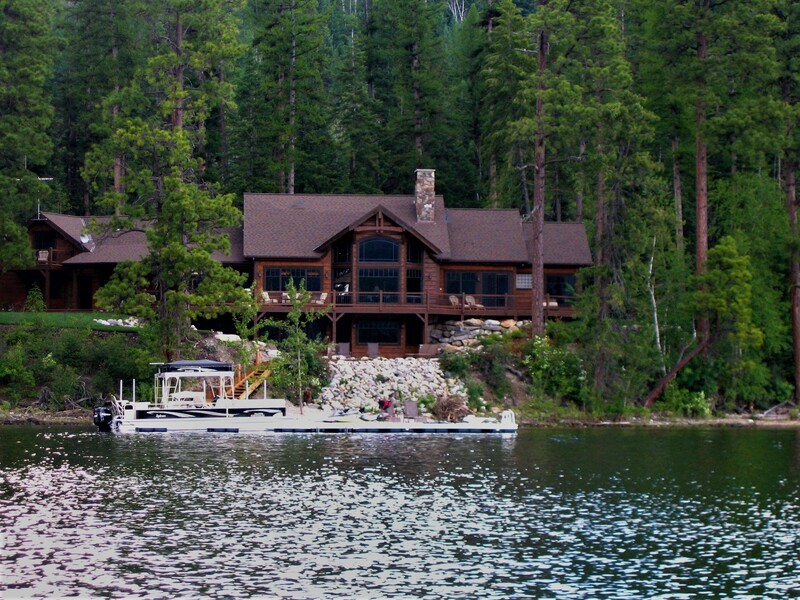 Situated on a beautiful point on the pristine water of Swan Lake, every room takes advantage of its setting. 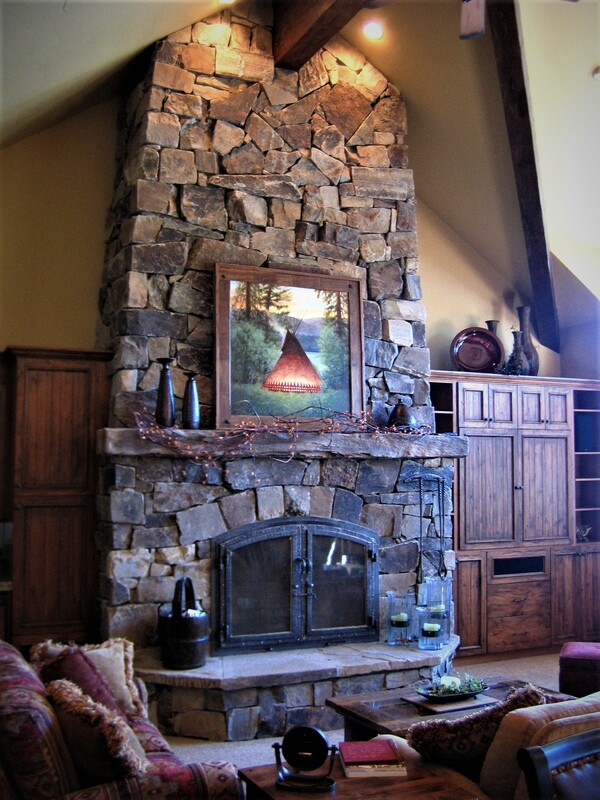 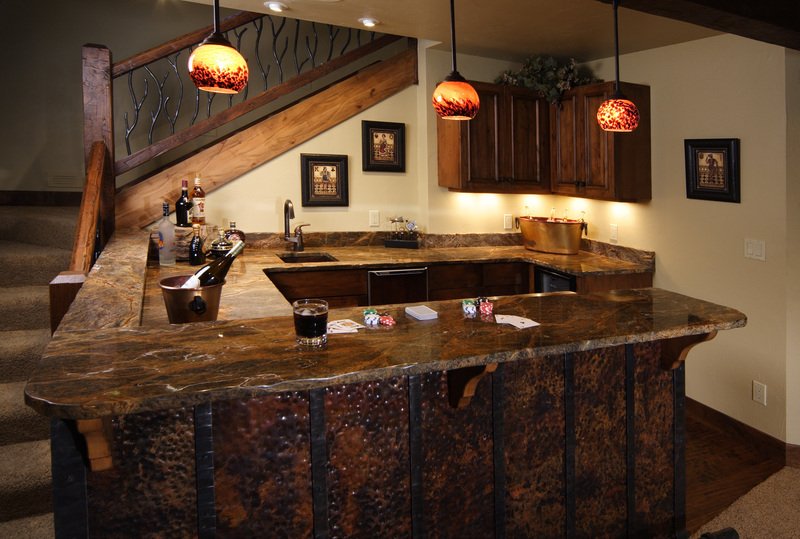 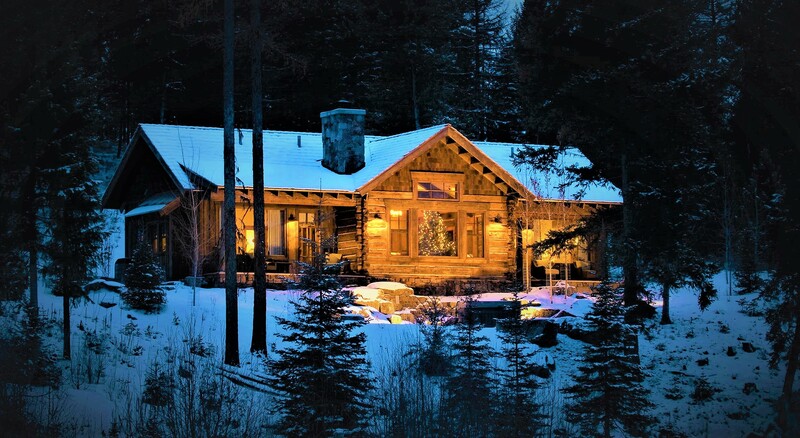 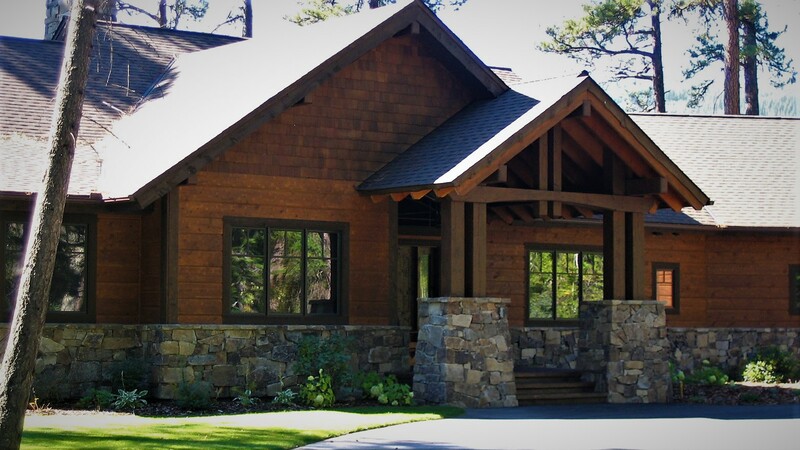 Natural timbers, log siding, and beautiful stonework create a comfortable retreat perfectly set in its natural surroundings.